Virtual currencies aren't currencies as far as taxes go, the US Internal Revenue Service (IRS) has decided. In response to the growing popularity of crypto-currencies, most notably Bitcoin, the IRS issued a statement on Tuesday explaining how virtual currencies should be treated for tax purposes. "In some environments, virtual currency operates like 'real' currency — i.e., the coin and paper money of the United States or of any other country that is designated as legal tender, circulates, and is customarily used and accepted as a medium of exchange in the country of issuance — but it does not have legal tender status in any jurisdiction," the agency wrote. Therefore, Bitcoin and other digital currencies will be treated as property for US Federal Tax purposes. "General tax principles applicable to property transactions apply to transactions using virtual currency," the IRS wrote in a Q&A document. Q: "Must a taxpayer who receives virtual currency as payment for goods or services include in computing gross income the fair market value of the virtual currency?" Taxpayers who receive digital currencies as payment for goods or services must include the fair market value of the currency when computing gross income. This includes people who, for example, 'mine' for bitcoins. 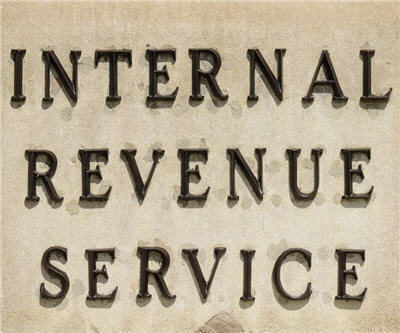 Bitcoin tax expert Tyson Cross told Business Insider that IRS ruling will be "quite a burden" for Bitcoin owners. "Users will have to track their transactions and determine the amount of their taxable gain each time," Cross told BI. "The rules on taxing foreign currency provide an exception for 'personal transactions' for that very reason. It would be great to have that exception (or something similar) apply to bitcoins as well." Click here to read the IRS' full Q&A on digital currencies and taxation.